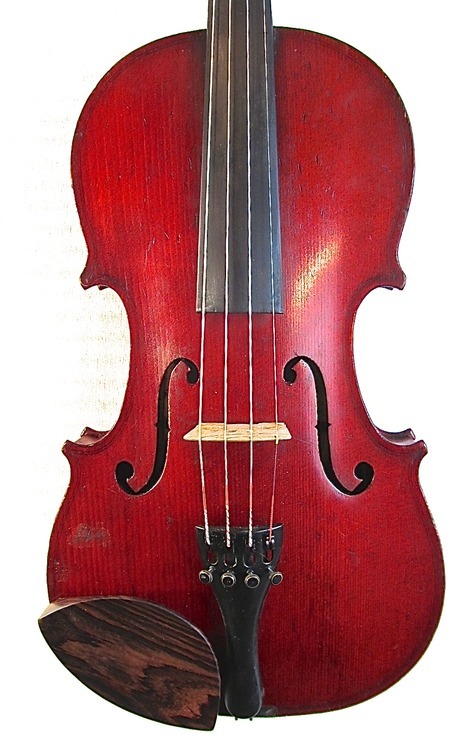 Late 19th/Early 20th century French violin, labelled le Lorrain. The top is made from a single piece so the grain is wider on one side than the other. The back is plain maple. 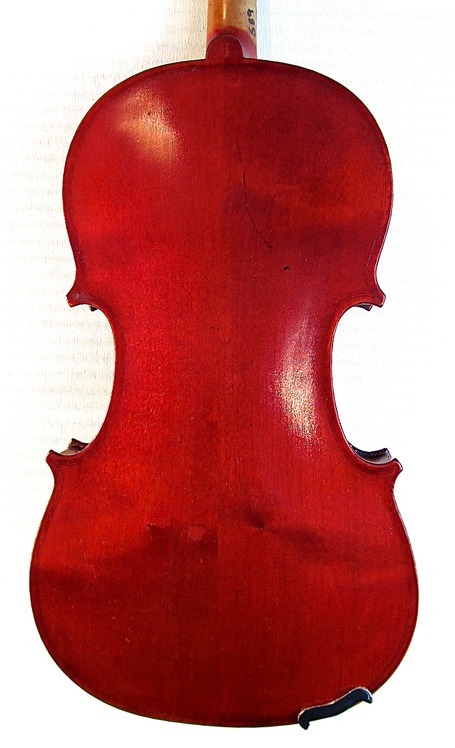 The purfling is scratched on and not inlaid. It's a plain looking workshop instrument, but like many of this kind of instrument, the sound is excellent. It is warm and rumbly in the lower ranges, clear and sweet on the higher strings. 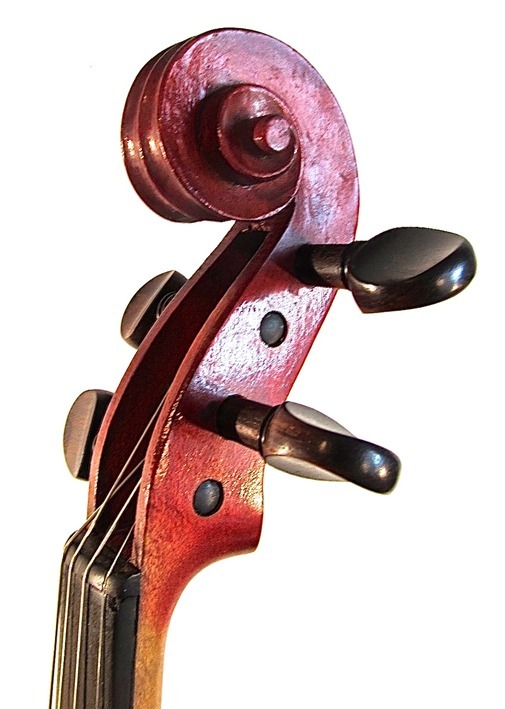 The last instrument I had like this sold to the first person who tried it. I expect this one to sell soon as well. 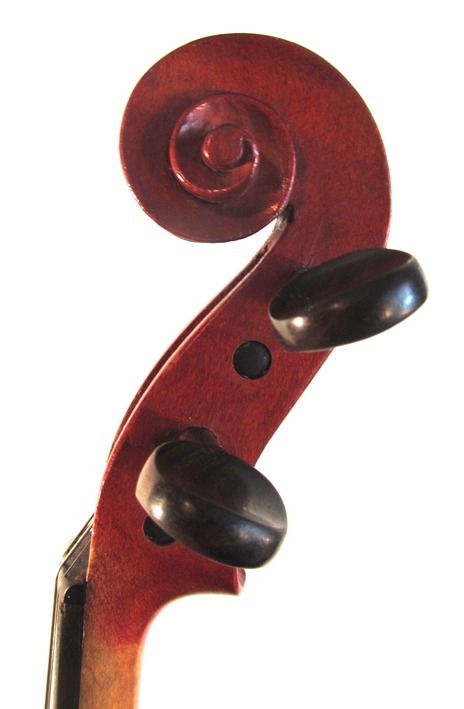 Condition: Dings and scratches to be expected on an instrument of this vintage, but no cracks or other damage. Set-up: New rosewood pegs. New soundpost and Aubert bridge. New Tonica strings and original Wittner tailpiece.